Easter is almost here! 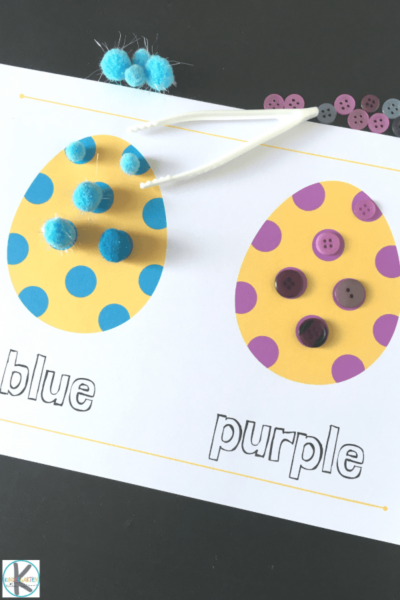 What a fun time to learn and play with an egg theme! 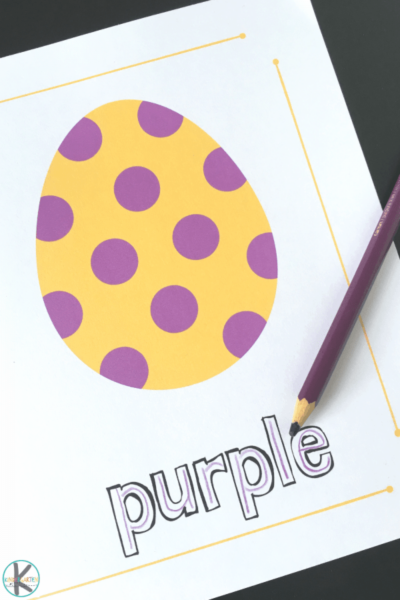 Use this Easter egg colors printable in a variety of ways to bring egg-citement to learning! 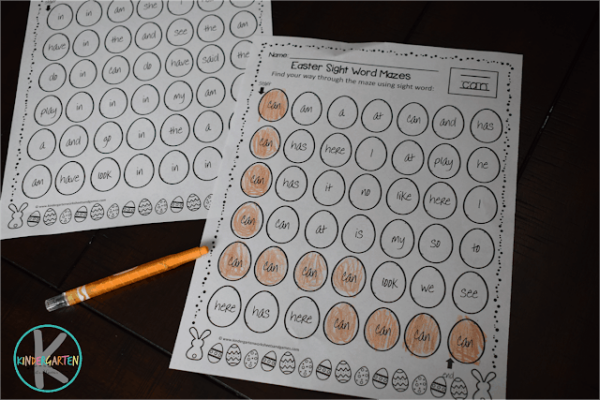 These free printable Easter egg sheets can be used as playdough mats, fine motor mats or color name learning mats. Simply print and laminate it to make it reusable! 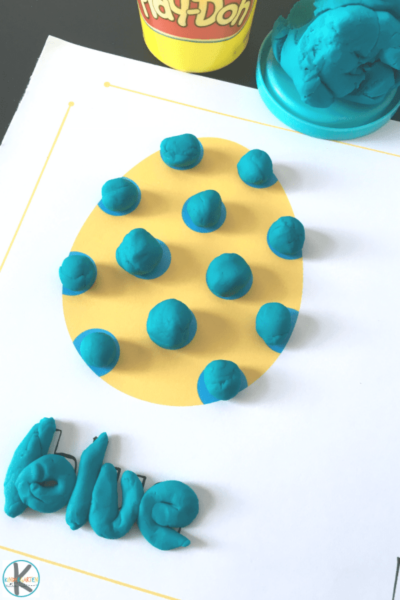 Provide a variety of colors of playdough. 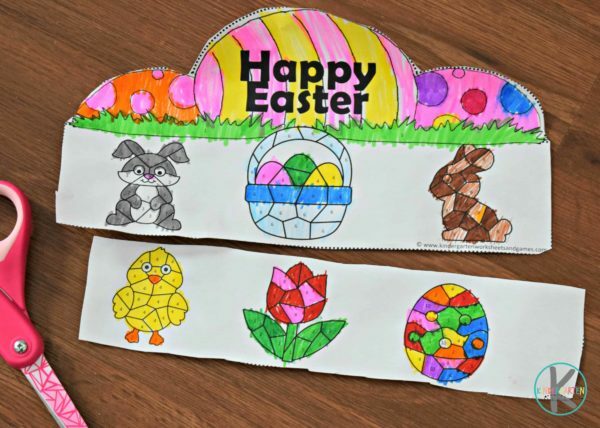 Let the child roll balls of dough and place it on the dots of the Easter eggs. PS- Rolling of playdough is very good for those fine motor muscles in the hands. Older kids could form letters to fill the name of the color too! Provide pompoms, buttons, beads or any small, round object of a variety of colors together with a tweezer. Ask the child to “fill” the egg with the items using the tweezers. 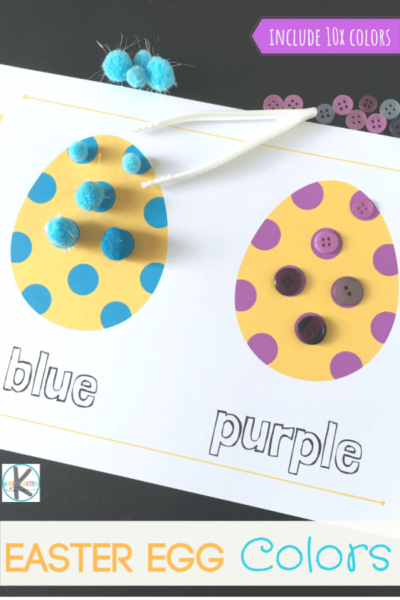 A very good exercise for those fine motor muscles! Provide colored dry-erase markers. 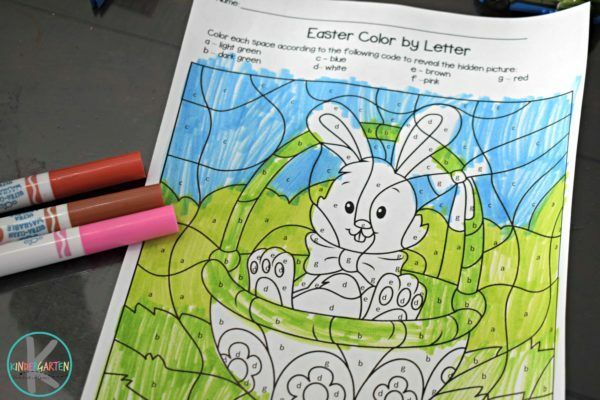 The child then “write” the name of the color with the marker using the correct color. When using the printable as a name color practice sheet one can use without laminating it, then use crayons/pencils to fill in the name. Perhaps laminate the sheets after doing this and then use it as playdough or fine motor mats. 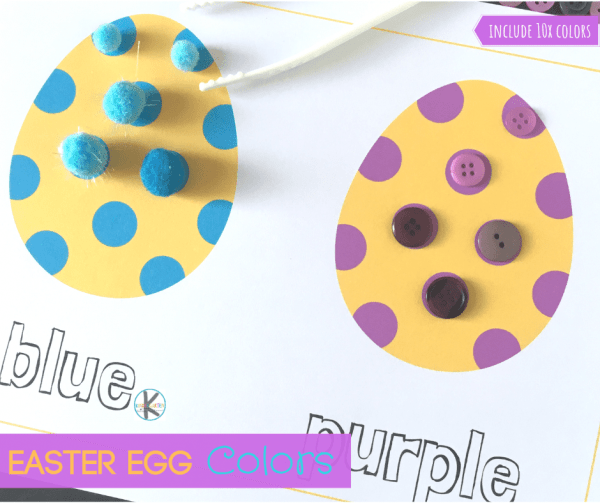 Such a fabulous Easter egg activity to practice colors together with a lot of other skills, all while having fun! 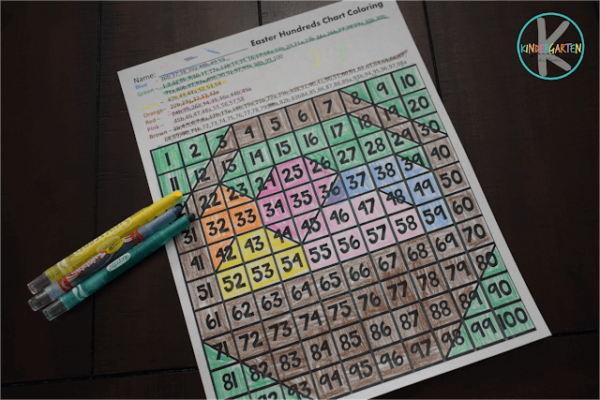 Perfect for preschool and kindergarten aged students!